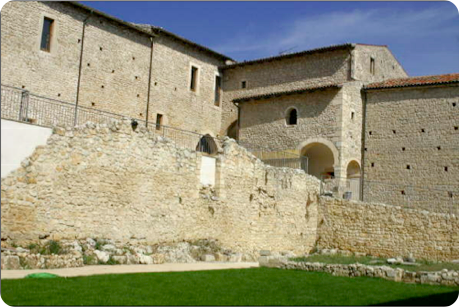 The Monastery Fortress of Santo Spirito is one of the few Castle Hotels in Italy in the Abruzzo region of Italy, located in Ocre near L’Aquila and just 1 hour from Rome, easily reachable from the north or south of Italy. The ideal retreat for those seeking a romantic getaway, you’ll enjoy the company of your loved one out in the countryside during the day and relax taking advantage of unparalleled intimacy in the majestic surroundings of the Aquilano mountains at night. Italy celebrates its 150th birthday – a long and complicated political process which lead to the birth of our nation proclaimed on March 17, 1861. 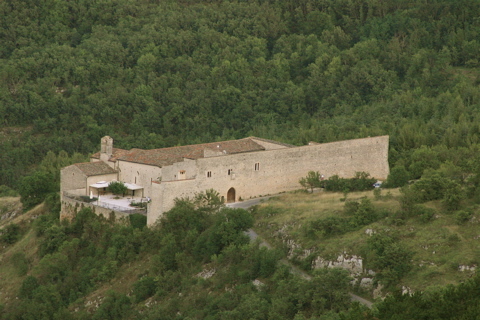 Welcome to one of the most exclusive and unique castle hotels of Italy: The Fortress Monastery of Santo Spirito. With nearly eight hundred years of history, this small charming hotel situated in the central Abruzzo was built in 1222 by Placido of Roio on a piece of land donated by Count Berardo of Ocre.